Products and Services I've Personally Used. Some Good. Some OK. And Some... Just Plain BAD! REVIEW REQUESTS: Please Read this First! I love these flop flops! Exactly as pictured above. Beautiful print design, vibrant colors. Good materials. And they feel AMAZING. So comfortable. Light on feet but still providing plenty of support, unlike the cheap, basic flip flops I usually wear, that really provide NO support. These are just a bit wider than I needed (I have fairly narrow feet) but not sloppy. True to size, based on the pair I got. Size 40 is exactly a Size 9. I like the small overall massaging "beads" on insoles. Not too much, just right. I recently wore them (first time) for a day at the beach; walked a lot that day and my feet felt great! Excellent price at Amazon Canada (I paid $35. shipping included) compared to similar products from other brands I looked at. They are also available in a variety of fun prints at Amazon.com. Price varies a bit, depending on what size you need. All less than $50 as of today! 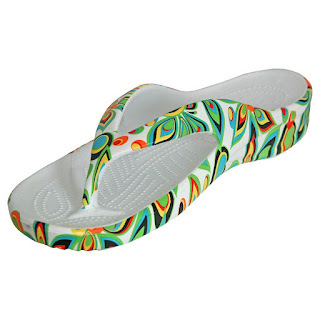 The DAWGS Women's Loudmouth Flip Flop is super lightweight with a non-marking outsole. The signature Loudmouthﾮ patterns are fun and funky. These women's flip flops have a comfortable extra-thick sole, a massaging footbed, and arch support. These women's shoes are easy to clean and maintain. 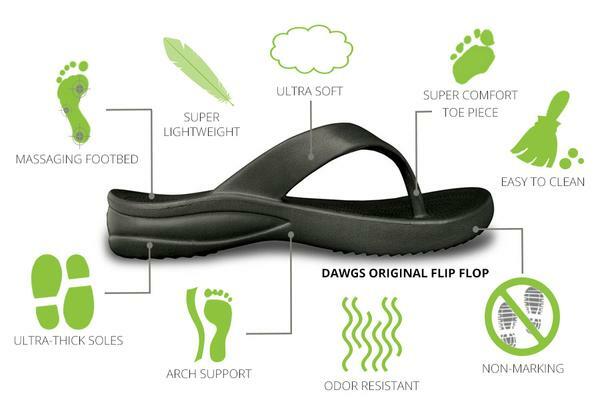 Arch support, Super comfort toe piece. PS: Last word on my domain issues, I promise!! Still changing all the review links in my sidebar, at sites, in my Kindle books etc...that's going to take a while. 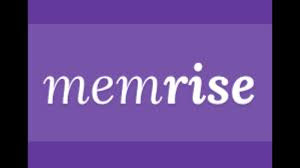 But I'm so glad to finally be free from all the domain hassles I've encountered in the past few months, especially due to NameCheap, a company that I've already blogged about extensively here. If you are looking for a domain provider, avoid NameCheap at all costs!! I cannot wear anything that is between my toes - so uncomfy!!!! I wasn't a big fan of flip flops before Diane but these are SO comfortable, including the little piece between toes. They changed my mind about just how comfy flip flops can be! glad you got your domain sites straightened out. I'll have to put your blog on my sidebar. Those shoes look really comfortable. I like the name of them, lol. Yes, me too Sandy. Still lots of work changing all the links in sidebar but I'm doing a bit at a time. These flip flops are amazing. I think the name is funny too! I'm not usually a loudmouth, but I can be LOL. Excellent review. These sandals look great and I'm glad you've found them so comfortable. Hard to get good sandals. I love the bright print, they are so groovy. My new fav summer shoes!!! Such a fun print and so comfortable. I am glad I got these. Wow...these are amazing...I live in toe post sandals in summer, but I have never seen any as stunning as these. I only hope they come in children's sizes...as I take a size 2 (UK size)! I'd check out Dawg's at the Amazon UK site, I'm guessing they will have them there too Ygraine. Wow, you have SMALL feet!!! The flip-flops look great but I'm another person who hates wearing the ones with the bit between the toes. That's a common complaint about flip flops. I've never had a problem with the toe part, just the lack of support in regular flip flops. In that regard, these are terrific! For some reason, Blogger is no longer allowing me to ADD LINKS to the sidebar, as I previously did. If you are looking for a product/book/service that is listed on the sidebar but does not link to the actual review, please use the "Search This Blog" option instead. It pays (and in so many ways) to be an savvy, informed shopper! Welcome to my two Blogger web-homes! My new Author's Website: Geraldine Helen Hartman AND my Product/Book Review blog: My Real Life Reviews. I am the author of numerous eBooks and books, in a variety of genres including: vegetarian cooking, haiku and traditional poetry, successful and pro-active aging, mid-life romance and all things feline! >^^< When I am not working on my latest book project, I am writing product and book reviews at My Real Life Reviews and as a Top 500 Reviewer at Amazon.ca. Thanks for stopping by and I hope you enjoy a good, long browse! :-) . 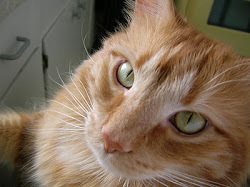 MR. CHEDDAR: Celebrity Feline Author, Blogger and Fearless Bug Warrior! You can use "Search This Blog" (see above) to access reviews by product name, when links are not available on sidebar. Also use "Search This Blog" for additional: blog updates, mini-reviews, contests and featured gift ideas. Christmas Crochet Done in a Day! CAT PRODUCTS - MR. CHEDDAR REVIEWS! Contests and Prize Winners at My Real Life Reviews! New Summer Contest at Veggies, Yarns & Tails! Oct.Contest:Caf-Lib and Cookies Gift Pkg. July Contest: Ice Cream Lover's Gift Pkg. Happy Easter and a Mr. Cheddar Treat! Mr. Cheddar Needs Your Vote! Mr. Cheddar's Back With An Upcoming eBook Promo! Some of My Fun in the Sun Favorites!